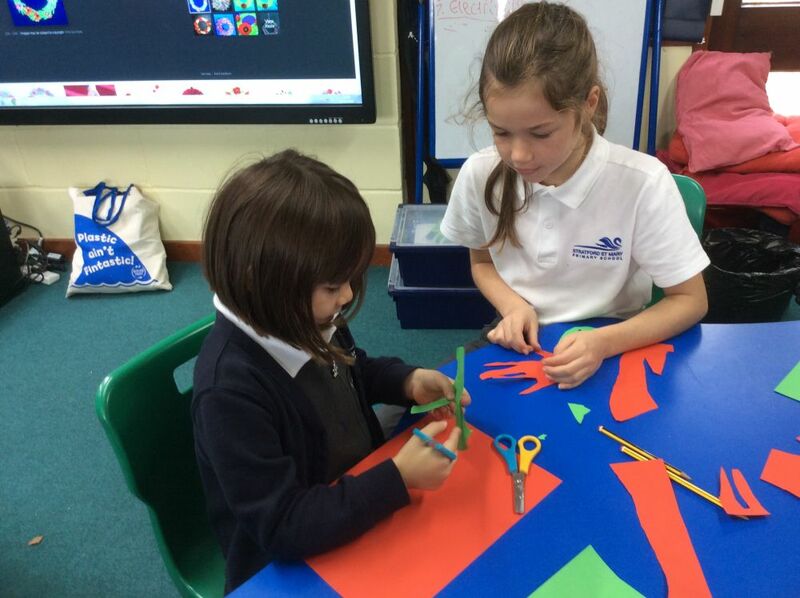 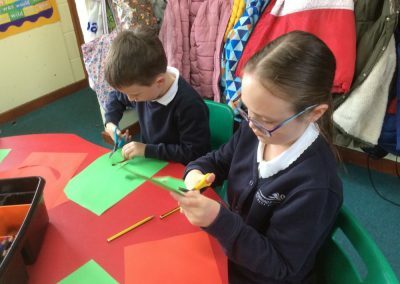 The children worked in their house groups to create a poppy wreath. 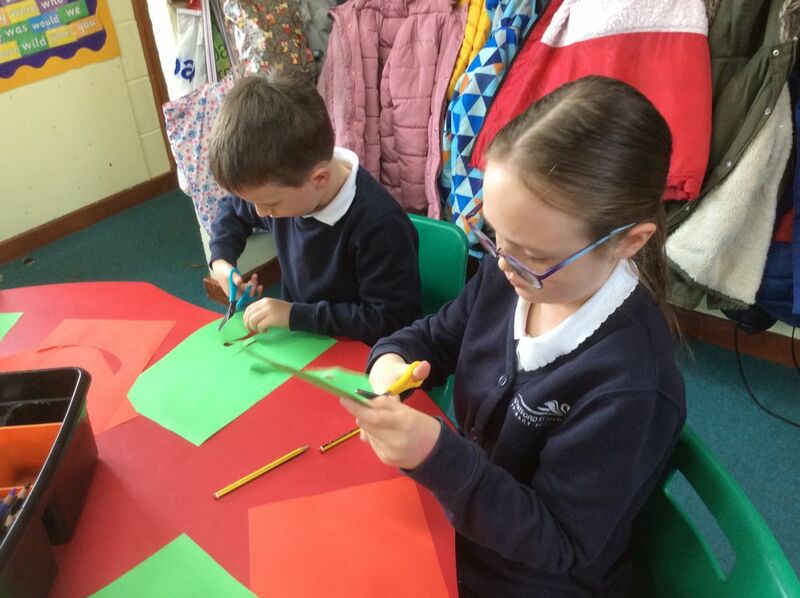 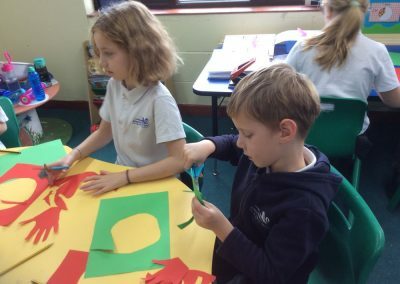 They worked in pairs and drew round each hand, one on green paper to represent the leaf and the other hand on red to represent the poppy; they then cut out their hand-prints before they were arranged into a wreath shape. 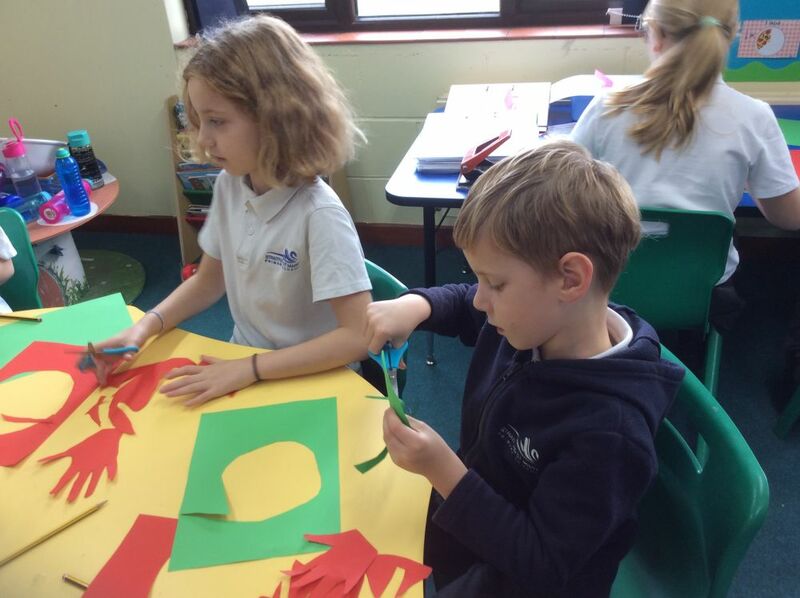 The poppy wreaths will be displayed in the church to commemorate the centenary of end of the First World War.